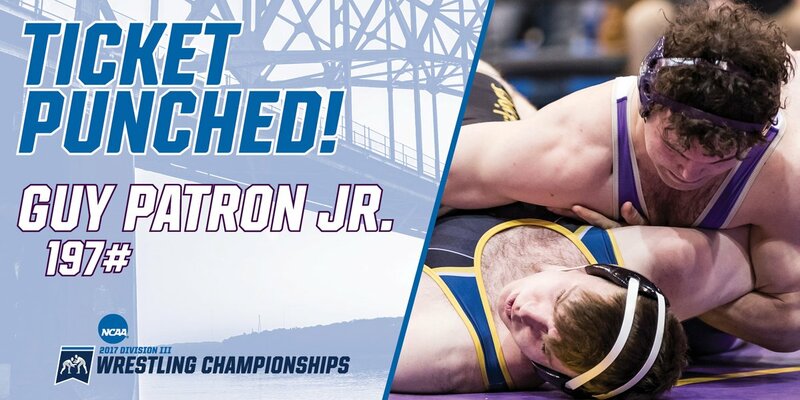 Three Louisiana wrestlers will vie for NCAA Division III championships in LaCrosse, Wisconsin, this Friday and Saturday. Guy Patron, Jr. and Quinn Gilliam are competing for Loras College Duhawks of Dubuque, Iowa. Connor Campo will represent the Division III powerhouse Wartburg College Knights of Waverly, Iowa. The NCAA says the events will be streamed on ncaa.com. This link should go the the streaming site. Rounds are scheduled to start at noon and 7 p.m. on Friday. On Saturday, the semifinals and consolation rounds will begin at 11 a.m. The championships are scheduled for 8 p.m.
Patron, Jr., a freshman from Harvey, Louisiana, who attended Jesuit High School, was a Louisiana Division I runner-up at the 2014 and 2015 state championships. 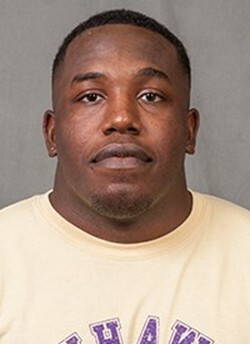 During his senior year, Patron, Jr. was undefeated in Louisiana, won the Louisiana Division I state championship and was voted the Division I Outstanding Wrestler. Patron, Jr. enters the tournament with a record of 30-5. He will meet Sixth-seeded Kyle Koser of Messiah College in the first round. At right, Patron, Jr. pins his state championship finals opponent in February of 2016. 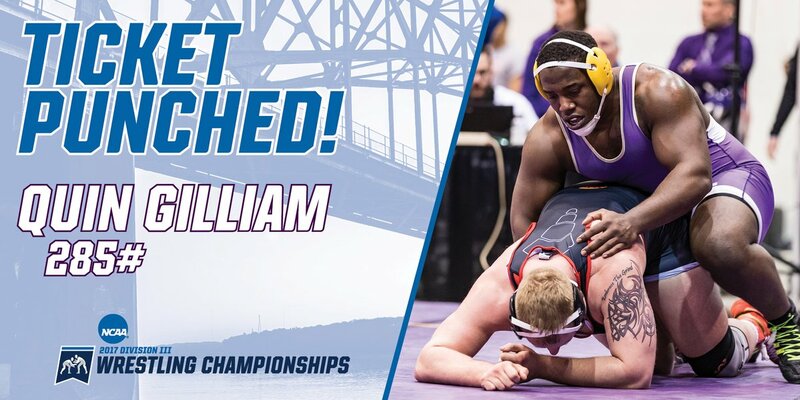 Gilliam, a 2014 undefeated Louisiana Division I state champion from C. E. Byrd High School, enters the event unseeded with a 25-11 record at 285 lbs. He will face 5th-seeded Paul Triandafilou of Gettysburg College in the first round. At right, Gilliam in the 2014 Louisiana state championships. Gilliam won by a fall in 5:36. 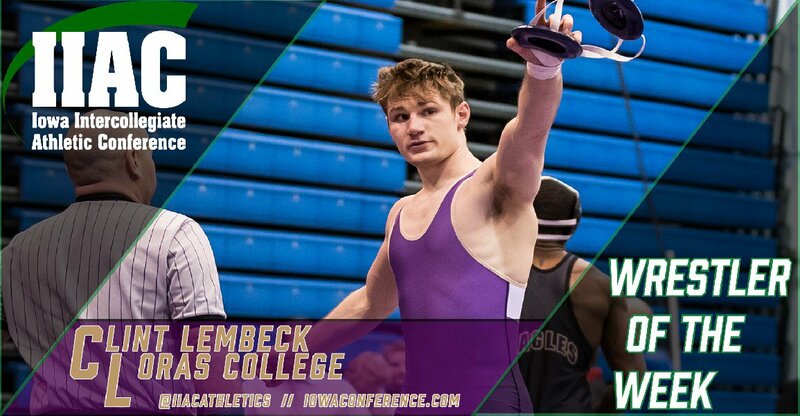 Also qualifying for the Duhawks are Clint Lembeck at 141 lbs. and Jimmy Davis at 157 lbs. Lembeck is seeded 7th. 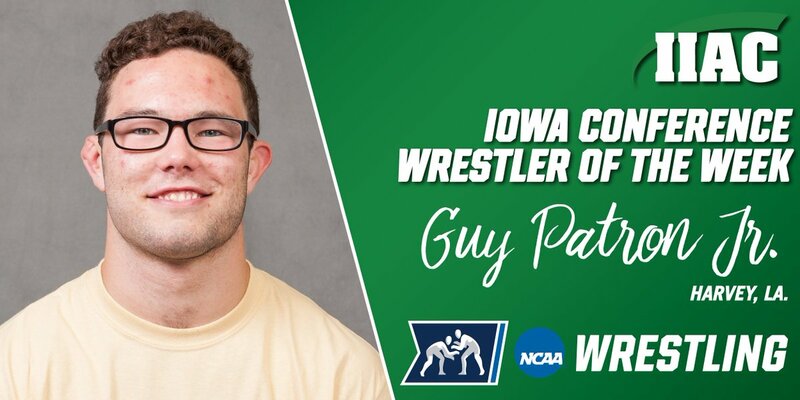 On November 6th, 2016, Patron was recognized as the Iowa Intercollegiate Athletic Conference Wrestler of the Week. On January 22nd of this year, Gilliam was recognized with the same honor. 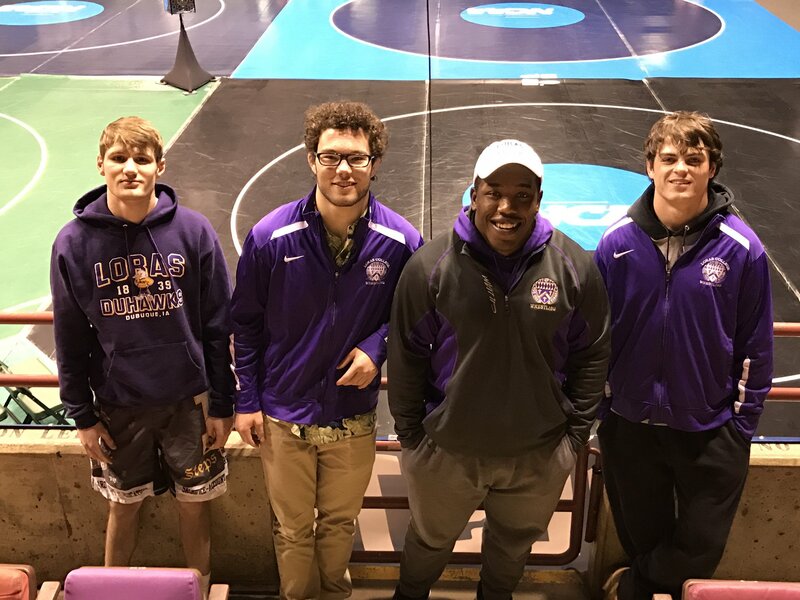 The four Duhawks participating in the 2017 NCAA Div. III Wrestling Championships are, from left to right, Clint Lembeck, Guy Patron, Jr., Quin Gilliam and Jimmy Davis. Campo was a two-time Louisiana Division I state champion for St. Paul's. 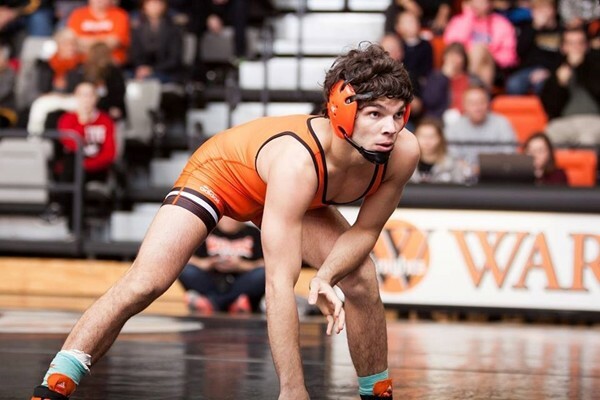 He will be joined by nine other Wartburg wrestlers participating in the event. Loras is coached by T.J. Miller (left), a 2007 NCAA Division III champion For Wartburg, which was then coached by his father. 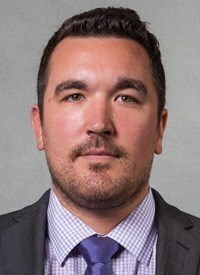 He coached at Wartburg and then at Holy Cross High School, which has sent several wrestlers to compete with the Knights. He was "on hand" in Bossier City in February to watch many of the Holy Cross Tigers he helped train win the Division I championship.